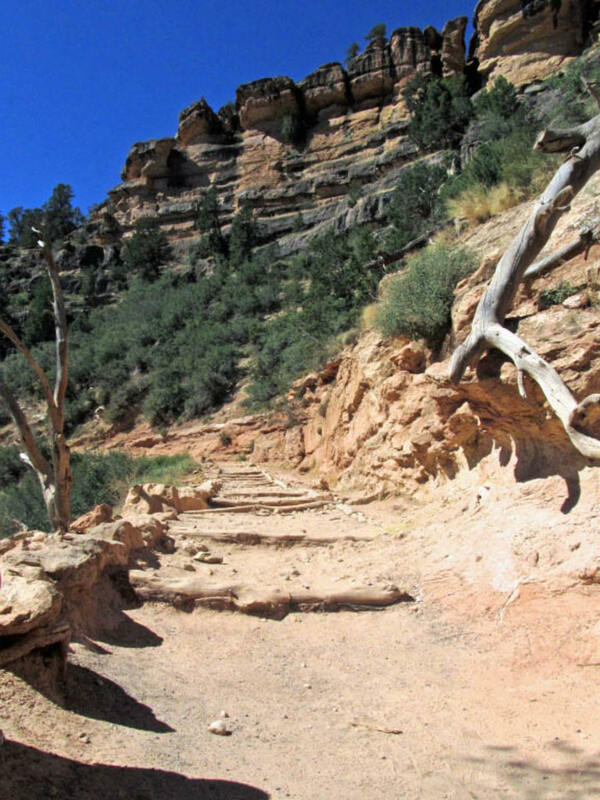 A 3-mile round trip hike on Bright Angel Trail into the Grand Canyon is a simple task for a fit person; don’t let the guidebooks fool you. Once you bring your kids on it though, it becomes a grinding, strenuous trail, filled with wonder and learning experiences. But hike it we did, in the August heat, when the kids were 18, 7 and 6 years old. 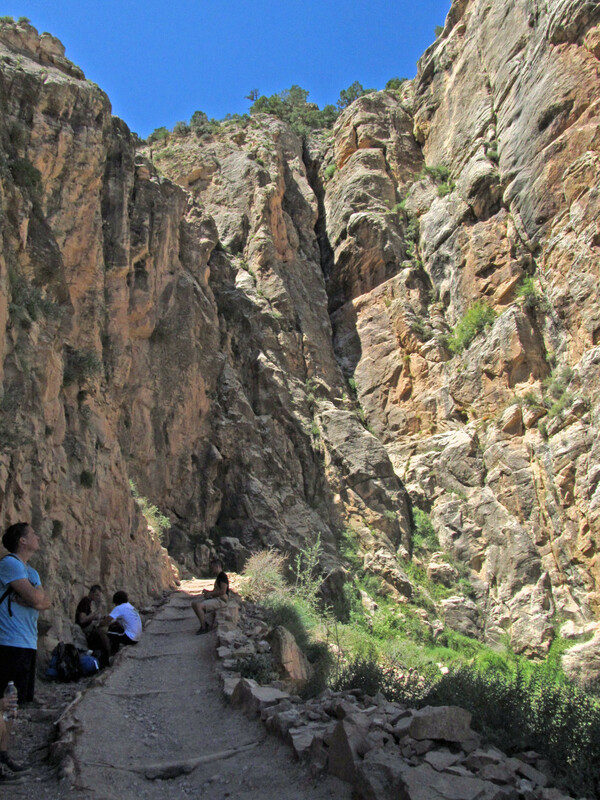 If you haven’t heard, hiking down into the ‘grandest of canyons’ means overcoming extreme elevation changes, increasing temperatures, and in August, an endless line of people. The elevation and temperature changes made the hike back up twice as hard. But the people we met were great, and from all over the world. One of them was the local ranger, a relaxed and friendly guy who had time for everyone and was full of information. 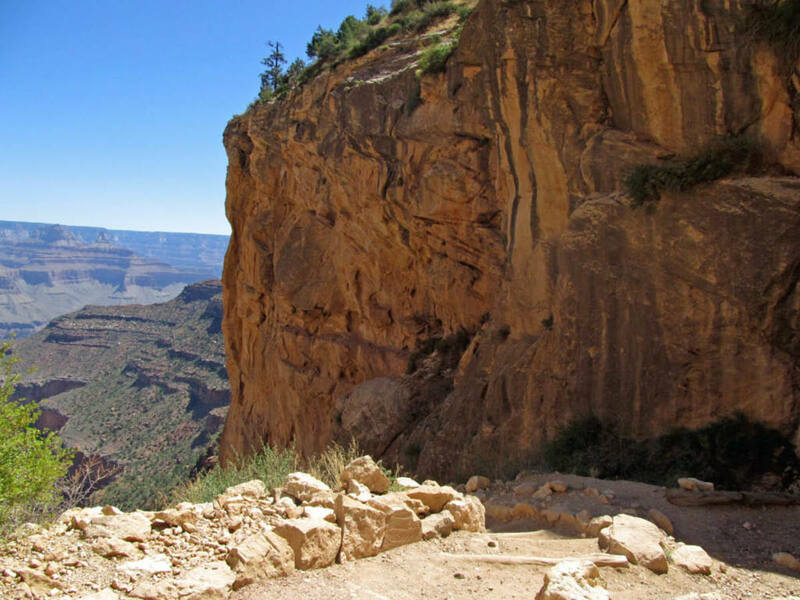 A quick look at Wikipedia will tell you that bright angel trail, located on the south rim of the grand canyon, started as a way for the native Havasupai Indians to get to their farms at what is now called Indian Gardens. 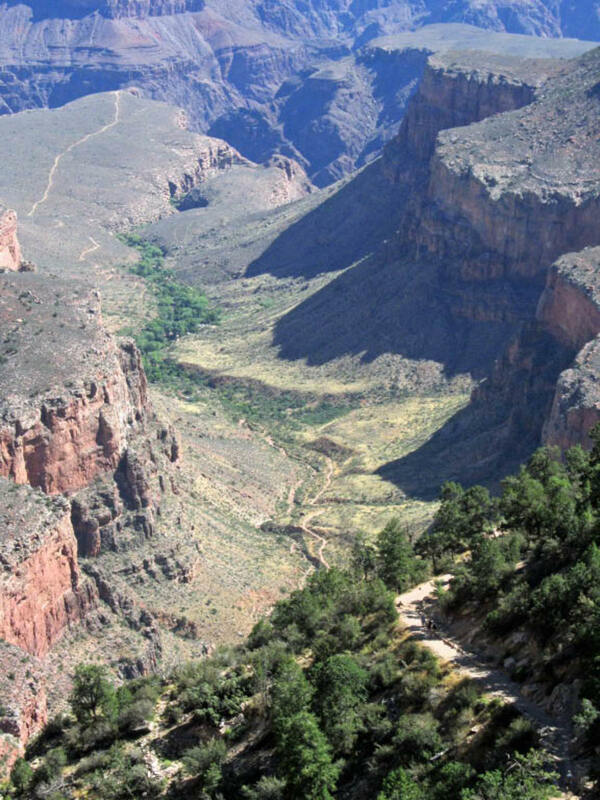 It was later improved by a man named Ralph Cameron who began extending the trail to the Colorado river in 1890. Ownership was transferred to the National Park Service in 1928. A 1.5 mile resthousestop with water and restrooms. Water is seasonal. Even at this point the elevation change is over 1000 feet. A 3-mile resthouse stop with water and emergency phone, but no restrooms. Indian Gardens is 4.6 miles down the trail and is a comfortable, shaded spot to stop. Here there are restrooms, water, and a ranger station. The river is 7.7 miles, but no potable water is available before Bright Angel Campground, unless you can treat it yourself, that is. 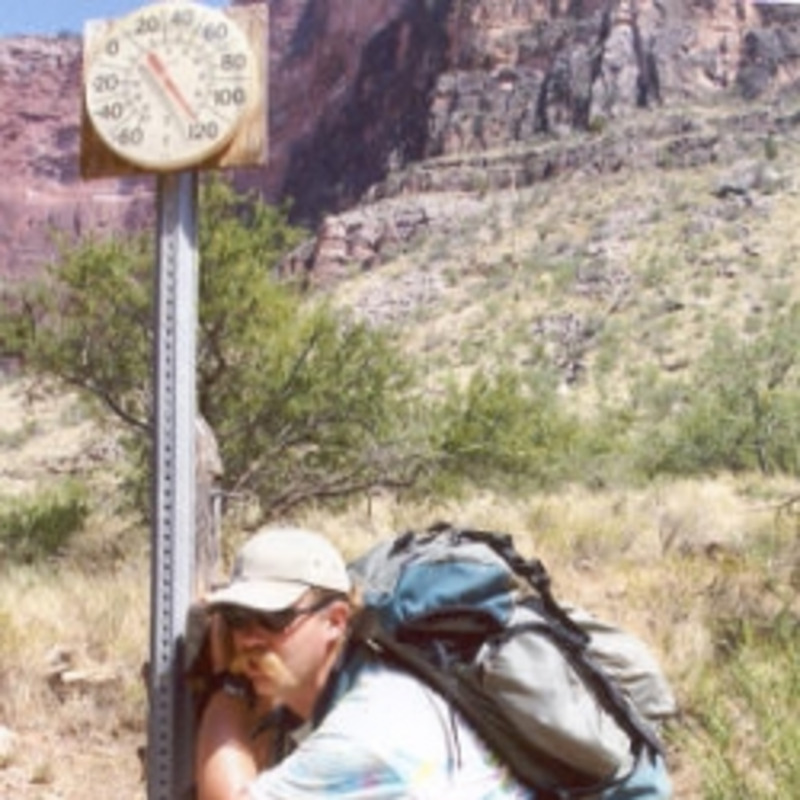 It is over 9 miles to Bright Angel Campground if you want to spend the night. I wasn’t too worried about my 18-year old. She was determined to go as far as she could, but this was only the second time my young ones had been on this trail. 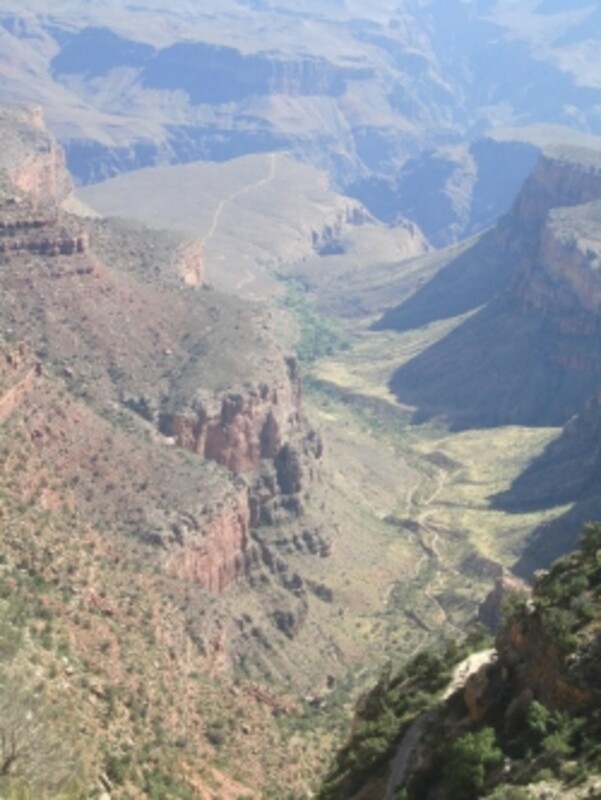 The first was when they were 3 and almost 2, not a ripe age for descending into the canyon! I made sure we had plenty of water and snacks, and that all the cameras were charged. 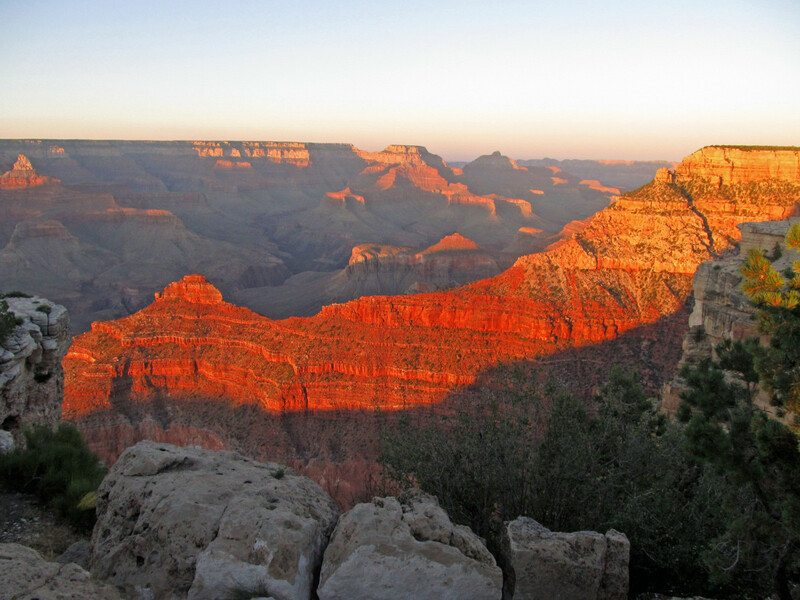 The Grand Canyon has been photographed millions of times, and Bright Angel Trail probably just as much, but don’t let that stop you from capturing your own vision. 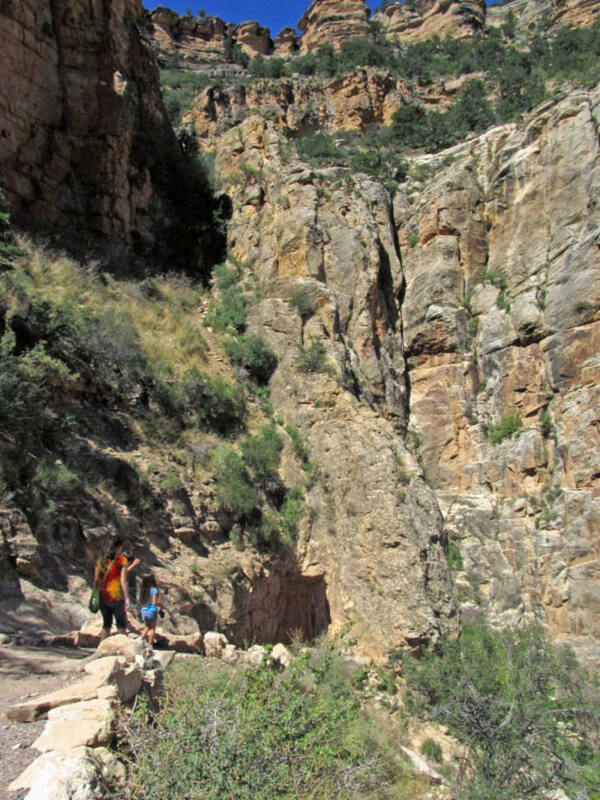 On the way down, both kids were fascinated by the sheer size of the canyon walls and the presence of the canyon abyss. 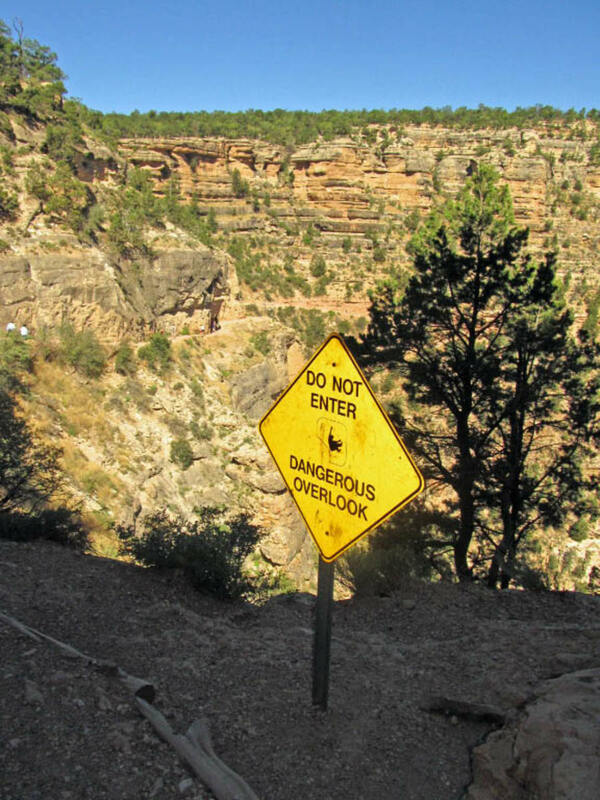 The drop-off into the canyon feels like it is never more than five feet away from you. Walking on the narrow trail feels like walking in space, and with each turn of the trail, more and more layers of ancient rock walls revealed themselves. The kids were so excited they had to be reminded to slow down and conserve their energy every five minutes. The hike back up would not be so gentle on them. We passed Japanese, Chinese, Swedish, German and of course American tourists on the trail. All ages were represented, including an older woman decked out in textbook hiking gear on her way back from the river. One man was stopping people on the trail to warn them of the Great Basin rattlesnake he had snapped a picture of. Most people just nodded their heads at the vague picture. It was hard to see the snake in it. Besides, most rattlesnakes would sooner run away than attack you. Much to the kid’s dismay, we never saw the snake. We were in perpetual motion as we descended on the trail. The endless switchbacks were so predictable my feet took steps on autopilot. The view was great, but when were we going to reach this oasis? This was the longest mile and a half I had ever traveled. At some point in our hypnotized descent we began running into bright, refreshed faces. People who had just left the rest station and were on their way back up to the rim of the canyon. Minutes later, the profile of a building on the cliff’s edge came into view, and we had arrived at a gathering of fellow hikers. Patient hikers waited to fill their bottles with cool water from the pump. Relieved arrivals trudged the last few meters to the bathroom before settling themselves on a rock to admire the view and watch squirrels fight over morsels on the trail. My kids loved this rest stop. It represented an accomplishment, and a welcome end to relentless switchbacks. They took in the view and watched the group of hikers around them; a group they now belonged to. 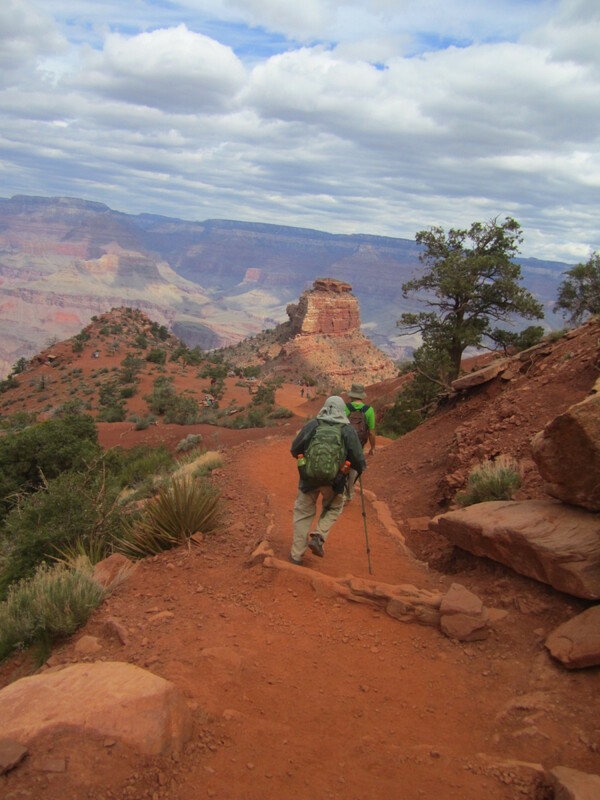 They had experienced hiking into the Grand Canyon, but the ascent to the rim remained, and I knew the real challenge for them was still ahead. This challenge presented itself only minutes after we started our ascent. The thing about going down a steep trail is how much it takes out of you without your realizing it. On the way back you have to expend twice the effort with half the energy. The remainder of the hike was a roller coaster of false exhaustion alarms and sudden energy bursts from deep within their little bodies. Both kids were determined they would make it on their own. We grinded up the switchbacks, at times resting on every turn. To my surprise, our fluids were running low. 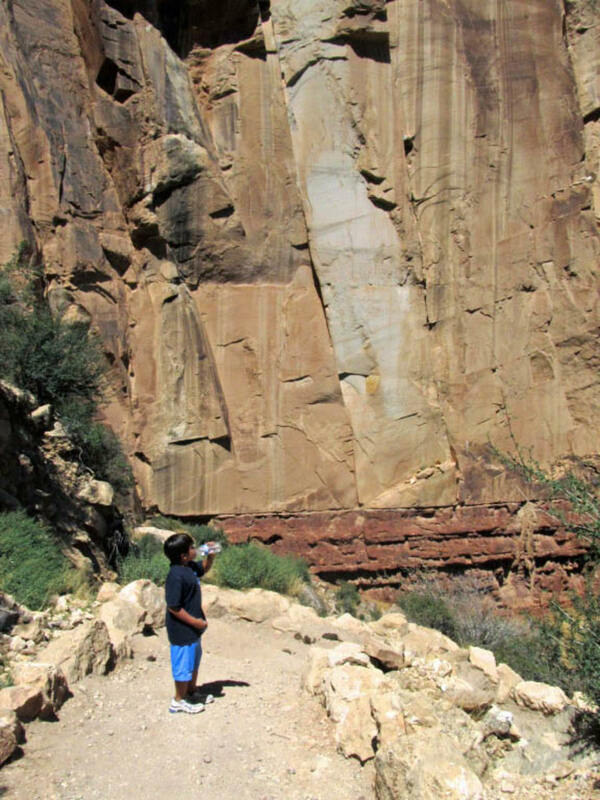 I began to visualize the endless dehydration warnings posted all over the Grand Canyon rim. The ones with an exhausted muscular guy dying of thirst at some unknown point on the trail. We had brought ample water bottles and energy drinks (lemonade and Gatorade, not Monsters) and refilled at the station. The warnings had been heeded but we were still almost out. I was amazed. At last we caught sight of the tunnel towards the beginning of the trailhead. My older daughter and I leveraged this beacon of hope to motivate the two younger kids. We were proud of them and let them know it. Less than half an hour later, we were back at the beginning of our journey. 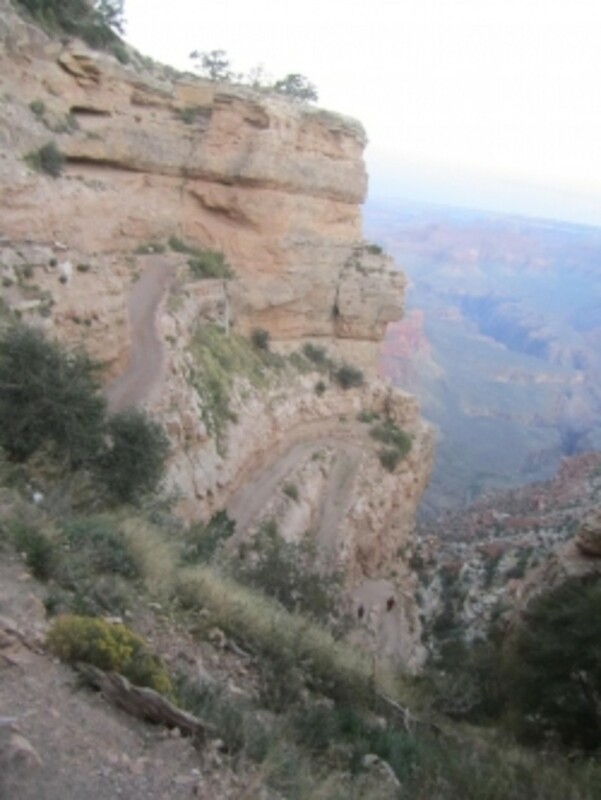 We took some victory shots at the trailhead and looked back over the rim of the canyon. What a great day. All three kids had successfully descended a mile and a half into the Grand Canyon and made it back up on their own power. An accomplishment they would always remember. At least until they get old enough to make it to the river and back. The photos were great. Your hub has inspired me to take the hike myself someday. 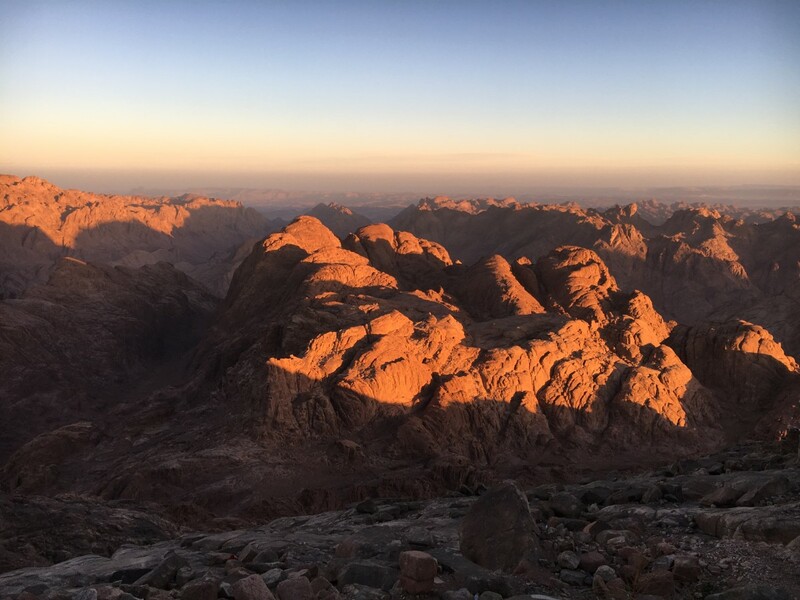 Thanks for conveying your adventure - it's super to read about a successful trip in September when it is still hot enough to dissuade me and my wife from hiking. We are from Superior, Arizona and know the heat, but age makes us think twice before committing. Thanks again for a super article. Thanks Deborah, I'm sure you're right, I think it did make an impact on them. The Grand Canyon is worth the trip. One thing I've noticed when we go there is the good vibe. Sure, there are tons of people, but in general, people are mellow and appreciative of where they are. Hope you make it soon. Cheers! 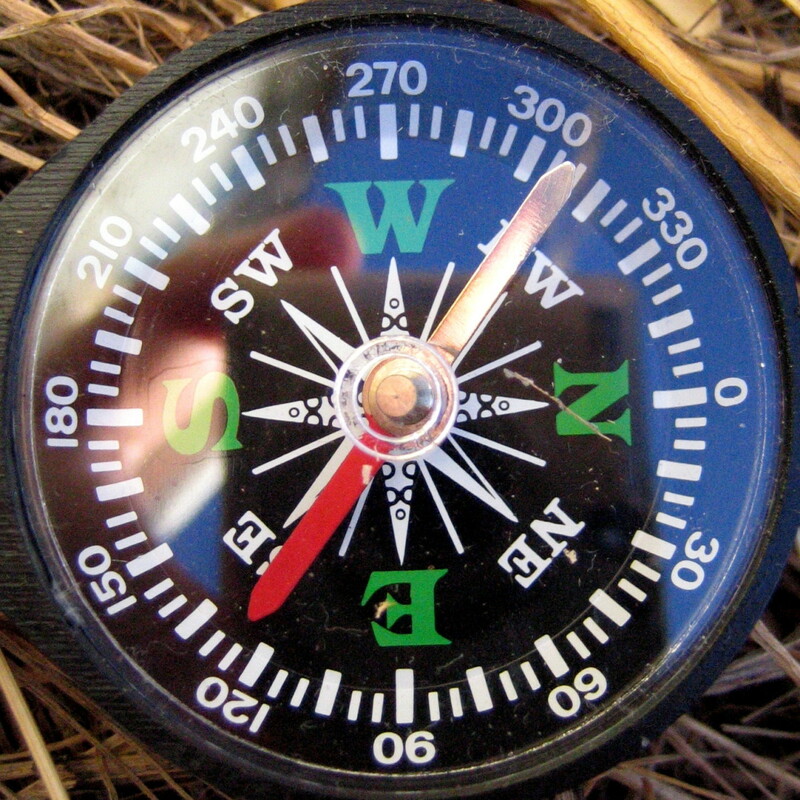 What a great trail guide and trip report, and awesome pictures, too! I'm sure you made a memory that day that your kids will treasure forever. Thanks for sharing. 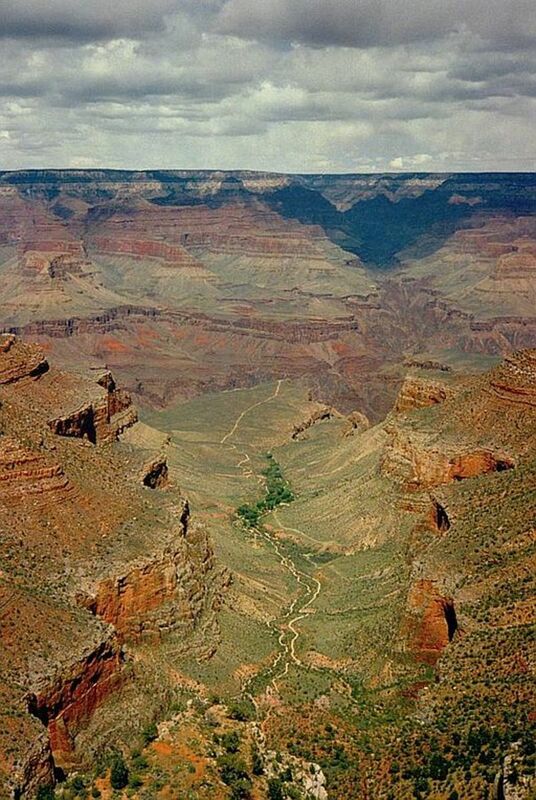 Although I've hiked in many other National Parks, I haven't made it out to the Grand Canyon yet. I hope to sometime very soon. Moira-definitely! And the deeper you go the more beautiful and ancient it becomes. Cheers! Aww... Now you added something on my "To-Do List Before I Die". pmccray, thanks for the praise. I am glad you enjoyed it, I hope to be bringing more like this to Hubpages soon. Cheers! What breath taking photos. As a youngster my mother made sure that we visited some of our most prestigious parks and all nature had to offer. The mountains of the Grand Canyon are majestic. Cometdog, they will love it. 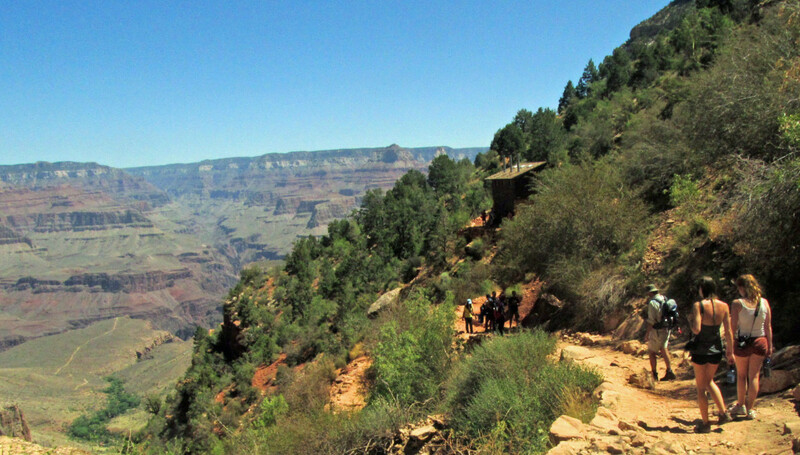 There is a lot more to it then just Bright Angel Trail (obviously.) When we went we camped at Mather Campground for a couple days as well. Great trip, easy on the budget :-) Thanks for stopping by.